If you know me and have read my blog in the past, you'll know that I'm a fan of half square triangle blocks (HST's). I make them regularly and incorporate HST's in alot of my quilts and projects. I've always hated the trimming though... but not anymore. I've been lucky enough to use the GO! 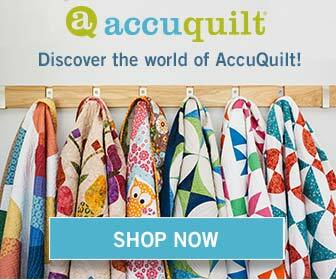 Baby from AccuQuilt and have discovered what everyone has been raving about it. I can make my HSTs so quickly and accurately with no trimming required. Seriously! Here's a quick tutorial on making a classic pinwheel block with the GO! Baby by AccuQuilt and the 4" HST die. Firstly start with your 2 alternating fabrics. Cut them to approximately 5.5" x 11"
Place your fabric onto the die with the sponge side up making sure it's covering the template. Place the cutting mat over the top and roll it through the GO! Baby. And you end up with these perfect little HST's. It's that easy. Really! I used 6 pieces each of the red and white fabrics and ended up with this little bundle of lovely triangles in about 45 seconds. Put a white and a red triangle together, sew down the long side. Press to one side and there you have a perfect little HST block. Finished in about 2 minutes - and that included waiting for the iron to warm up. Now put 4 of them together and arrange them in this pinwheel design. Sew the 2 top ones together and then the 2 bottom ones together. Press to alternate sides. And then finally, sew the top and bottom together. You will end up with a perfect pinwheel block. I chain pieced all of my triangles together at the beginning and ended up with enough to make 6 pinwheels... which turned into this table topper. A perfect start to my Christmas sewing. Just wonderful, how I want one of these. Very cute little quilt too, you just can't beat red and white. This is awesome! 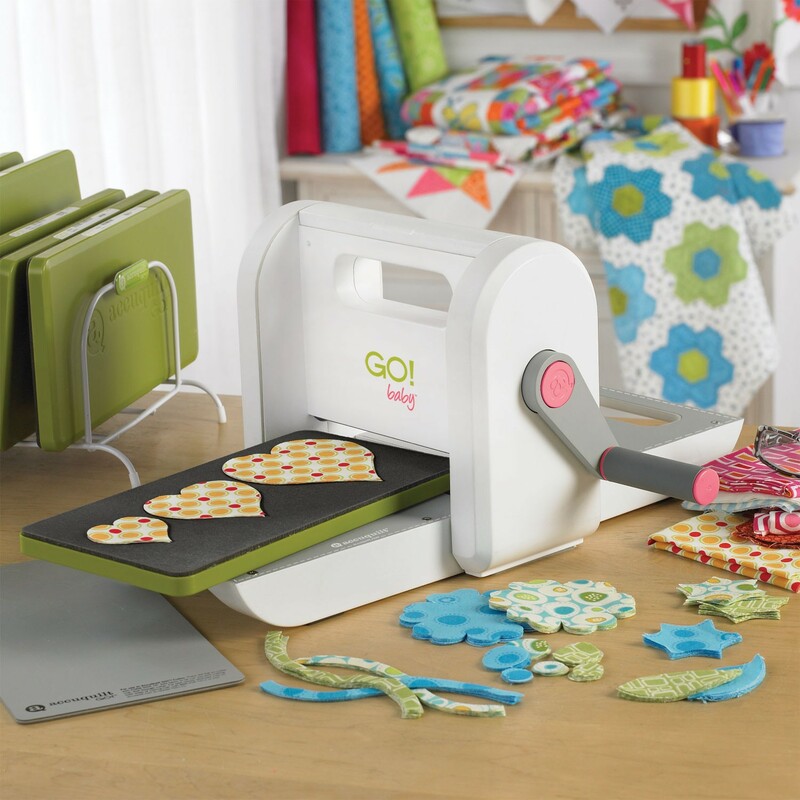 I'm always having problems sewing HSTs and would really consider getting this machine. How much did you pay for this and where did you get it? clever little machine that.... I love your fabric choice... looks lovely. I have my eye on the Go! also. I picked up a Slice Fabrique in the interim to make applique shapes. I would prefer the Go! for blocks. Great machine, I've been thinking if I should buy one of those Baby Cutters. Can you give me a help. Do you think it's a real good purchase? i find a pattern i want to make and i never have the exact die that i need so i end up cutting it myself. 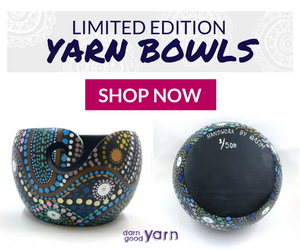 you almost have to have all die sizes to make it worth your while. this is very expensive. it is great to make strips, however! I have been waiting for you to post this! LOVE IT. The Go certainly takes the fiddly bits out of hst's! Nice table topper and it doesn't have to be exclusively for Christmas either. That's just gorgeous, I wish I was crafty but I spend too much time writing to sew lol!!! Nice work on the Christmas table topper! So simple and fast. I am hoping I can get a Go! baby this fall. The topper is so pretty!! Great tutorial! I have a GO! but am still figuring out how to use it well! That looks so easy! Love the red and white; very Christmassy:) Help! Christmas is drawing closer every day. How I would loved this machine. I have very bad Arthritis in my hands and is hard to cut. But I love to quilt. What a great invention. Love your tutorial. 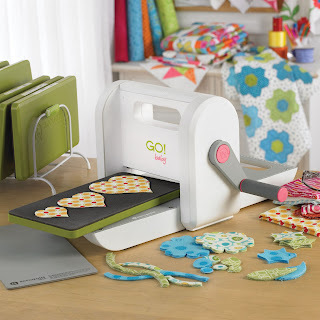 I sell the Accuquilt cutters and loove it when someone sings its praises. It makes cutting so precise and quick, it puts the fun back huh? Tutorial was very good. Now I think I would have to have more dies, hee hee. I blogged your giveaway. Love the tutorial! I love how the GO! 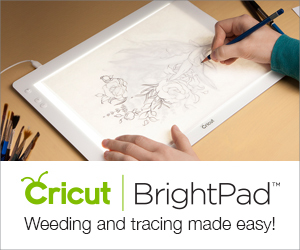 produces perfect cuts! Makes for perfect piecing! I love pinwheels and recently shared one of mine! 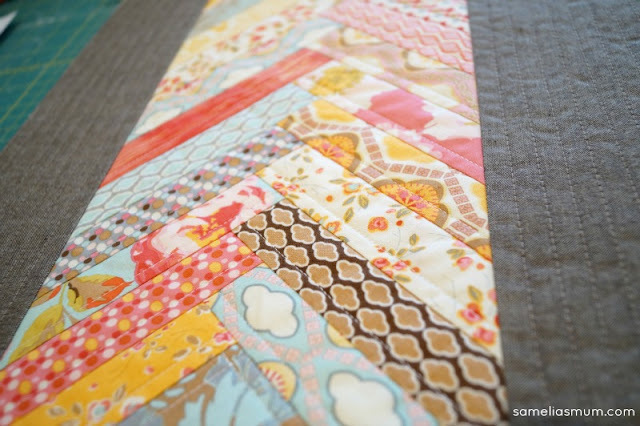 Your project is great using the two tones of fabric. That machine! WOW! Luv your example and ideas. Luv the red/wh and think of valentines day and candle and 2 wine glasses and a box of chocolate. I just got a Go! and I already love it! I need more practice in getting up to speed with it, but it will not take much practice. 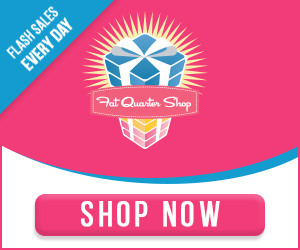 For anyone looking to purchase one, shop, shop, shop around. Prices vary a great deal.Same goes for the dies. Amazon is a good place to shop for those. Good luck! Cut out two 6" squares of complementary fabrics. Place right sides together and sew all around the four sides, then cut the square into triangles. Open and press and you now have four two color squares to form your pinwheel.